The old eMac computers don’t have the hardware to support the software updates for READ 180, a reading intervention program used in grades 3-12. 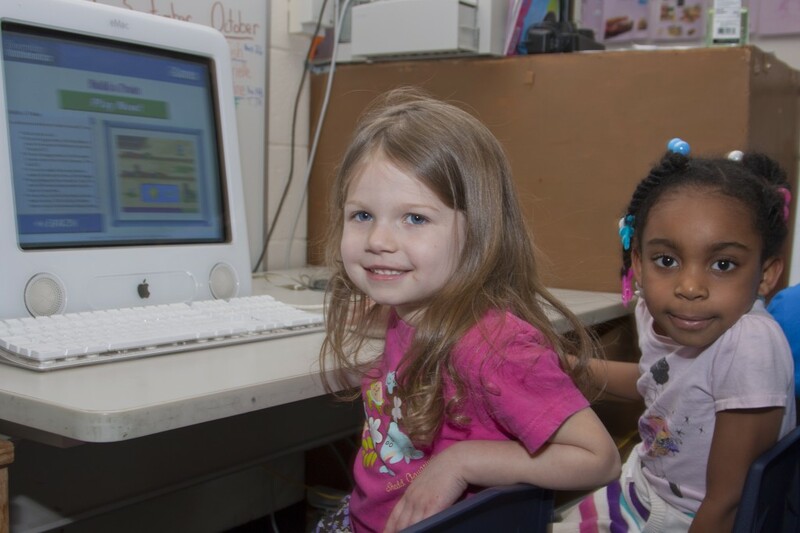 Editor’s Note: On May 8 voters in the Ann Arbor Public Schools will be asked to consider a bond issue to replace aging district technology and provide technology to support 21st century learning. The program addresses equipment and infrastructure components for the next 10 years by financing the equipment through three separate series of bonds. AAPS is pursuing this tech bond to support the District’s strategic plan that calls for a culture of creativity, innovation, and communication. Aging technology equipment and infrastructure to support learning needs to be replaced. The tech bond will help keep general fund dollars in the classroom by using bond proceeds for technology equipment and related infrastructure. The tech bond creates 21st century learning environments that meet the needs of students. AAPS will feature facts and information on the 2012 Technology Bond leading up to the vote on May 8. Please check back for weekly updates. READ 180 is a reading intervention program that is used throughout the AAPS district in grades 3-12. But the highly effective program is being used on ineffective computers, causing headaches for teachers, students and technology staff alike. The district uses the program on eMacs, some of which are up to seven years old. Scholastic, the company that makes READ 180, no longer offers tech support for eMacs. “If we were to call them and explain a problem that we’re having, the first thing they’re going to tell us is they can’t help us, because we’re not using the right type of computer,” said Anne Reader, director of instructional technology. The older computers can’t handle the critical new software updates that READ 180 needs to run smoothly. Reader also explained that many of the headphone jacks on the old eMacs are broken, so headphones can’t be used on them anymore. Students can follow along with the READ 180 program on the speakers, “but when you have six students in a row next to each other trying to listen to what it is supposed to be an intervention piece, and each is supposed to be individualized for that student, it becomes very distracting,” she said. This means that the reading intervention technology is there, even though the hardware to support it isn’t. Well, this is a problem. The problem isn’t the old computers necessarily, it’s that the AAPS put themselves at the mercy of these developers. If all the $ that went to these proprietary developers went instead to free/open-source development, we could have software that we can adjust as needed, that the users can control. This may be an example where the pragmatic answer is to continue using this proprietary software, but the AAPS needs to work harder to use only free (as in freedom) software. We cannot afford to have these private companies have this level of influence over our schools.